On Dec. 14, the Douglas County Sentinel – the legal organ and publication of record in Douglas County, Ga. – published an unsigned editorial (making it the “official” opinion of the otherwise impartial newspaper) calling on the county’s board of commissioners and the Douglasville City Council to do a better job of listening to the wishes of their constituents. For the city, that means changing the way catering contracts are awarded for the new conference center downtown. For the county, it means reigning in spending, lowering taxes – and somehow proceeding with a major capital investment in a new animal shelter and continuing to provide exemplary public services. Here’s the thing that was missing from the Sentinel’s concise opinion: running a government costs money. The city’s decision is much less consequential than the county’s. The long and short of it is, the conference center – which the city owns and manages – has a single caterer under contract, and people don’t like that caterer. Residents wanted the city to follow a more open approach to hiring caterers, allowing multiple vendors to bid on individual events. This would allow some local caterers to participate in the process. But the city has an obligation to run the facility as efficiently – and, therefore, as economically – as possible, and mitigating disputes with multiple vendors or figuring out who is responsible for the cocktail sauce stains in the carpet in the grand ballroom or who’s can of steno scorched the wall in the lobby will be a much larger investment of resources for the city. So, the city decided to contract with a new caterer who will provide exclusive catering services for the conference center. Residents fear that will make the price of having events, like wedding receptions, go up and lead to a loss in utilization for the conference center. Two points about that: 1) there are other venues in town, and if you want to have whomever you want to cater your event, then certainly you can rent a pavilion at the park, a facility at a local, privately owned venue or just have folks over for a weenie roast in your back yard; and 2) going by my own empirical observations, being downtown nearly every Saturday night for trivia at a local restaurant, the limos and black Escalades consistently lined up outside the conference center are a pretty good indication that the venue isn’t at a loss for demand. The county, however, is really catching heat for a recent increase in property taxes. Now, let’s get something clear first: the economy tanked, Douglas County has been a state leader in foreclosures, and that means that revenue from property owners has dropped. In the meantime, the county still has to function. We all like having a fire station nearby, but we don’t want to pay for the engines or the salaries of the firefighters who staff it. 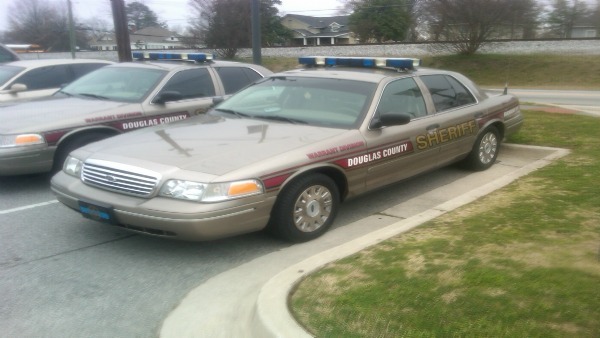 We want the sheriff’s office to respond when we call for help, but we don’t want to pay for replacing the patrol cars that get worn out from constant use. We want parks in our communities, but we don’t want to pay the tab when they’re built. Any idea what a new police cruiser costs? The Sentinel’s pie-in-the-sky optimism – “cut spending, cut taxes and find a way to build a new animal shelter” – is absurd. You can have one, maybe two of those things, but not all three. Nor can you expect to have a highly functioning local government operating with dwindling revenues. Property taxes are a fairly progressive tax: the more your property is worth, the more you pay. If you want to live in a single-wide on a quarter-acre lot, then you can enjoy the benefits of a much lower property tax bill. However, if a 2,500-square-foot all-brick home with a home theater in the bonus room and a rec room in your finished basement is more your taste, well, your annual tax bill will reflect it. But odds are, you’re not going to choose the single-wide just to save money on taxes, and if the single-wide is all you can afford, then you’re going to have an awful lot of tax liens on your lot trying to pay the same bill in November as your fellow resident ensconced in his brick façade. If we want a reduction in property taxes, then we must accept a reduction in services. Fewer youth recreation programs. Slower response from deputies and fire/rescue workers. More potholes and slower traffic pushing through unimproved intersections. And certainly, we should expect to continue using the same small, outdated animal shelter and probably be willing to say goodbye to the stray and abandoned animals housed there a little faster (after all, gassing and incinerating the puppies and kittens is an awful lot cheaper than trying to feed and clean up after them until someone comes along to adopt them). The Sentinel missed an opportunity to educate residents on what their taxes really go for. A few empiric examples of probable waste – a take-home vehicle policy that seems generous but that’s actually pretty common throughout the metro area, for instance – is a good start. Every governing body could stand to trim a little fat and run a little better. But this unholy trinity of lower taxes, reduced spending and a capital investment is an impossibility. If you want lower taxes, be prepared to pay somewhere else. Either in not having a ambulance to respond to your child’s medical emergency, or the likelihood that by the time you get to the shelter to pick up Fido after he slipped the fence, he’s probably been reduced to cinders.